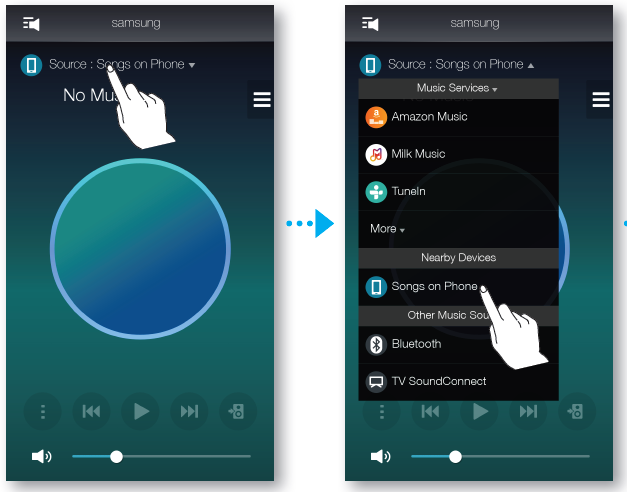 How do I play a music file stored in the smart device on the Samsung Multiroom app? 2. 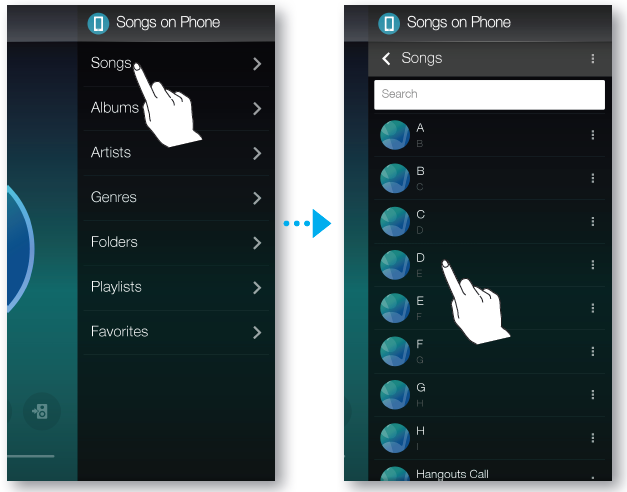 Select the Songs on Phone (files stored in the smart device). Note: If the source is set to music of mobile phone, press . 3. Select your desired category. • Favorites : Lists all the music files marked as favorites. 4. After selecting a category, find and select your desired music.